The testing is confidential, LGBTQ+ affirming, and conducted in a discreet location within the Student Recreation Center. 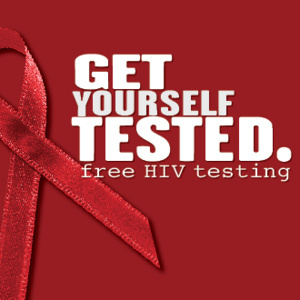 Call 419.372.9355 or stop by the Wellness Connection in the Student Recreation Center to schedule an appointment for a Rapid HIV Test. Walk-ins are welcome. A real name is not needed when making the appointment. Check in at the Welcome Desk and tell the SRC attendant you have an appointment with the Wellness Connection. Someone can assist you from there. Once in the testing room: Show a valid photo ID: Fill out paperwork and sign forms. Remember, the testing is CONFIDENTIAL, not anonymous, so a real name is associated with your paperwork and test results. Receive the test: Talk about what brought you in for a test. Talk about a "plan of action" to help reduce the risk of HIV in the future. At the end of the session, receive a result. Receive referrals to other agencies/providers, if necessary. Ask any questions or concerns aobut HIV. Fill out the evaluation form.